You’ll find our blog to be a wealth of information, covering everything from local market statistics and home values to community happenings. That’s because we care about the community and want to help you find your place in it. Please reach out if you have any questions at all. We’d love to talk with you and we'd love for you to meet your hometown real estate team! It's Springtime And The Real Estate Market Is Heating Up! 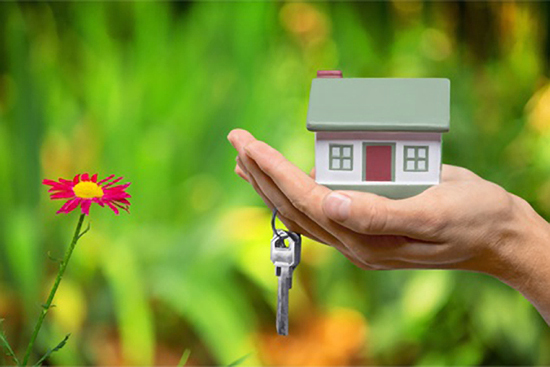 Spring has sprung and it’s a great time start looking for your new home! Whether you are a first-time buyer or are looking for a change, this is the time of season to take advantage of the upcoming housing inventory. As sellers prepare to list their homes, this is the perfect time to get started on our easy checklist for getting ready to buy. 1.) Talk to a mortgage broker. Whether you know you are eligible to qualify for a loan, you’re certain you have some work to do, or you are simply unsure, a lender will be able to go over your credit in detail and discuss any steps that you need to take to prepare your finances for purchasing. 2.) Reflect on why you are buying. This will give you the best, most practical list of ‘search criteria’ when it comes time to look. Are you downsizing? Or maybe your family has grown and you need additional space. Looking into a new school district? Or perhaps wanting to be closer to the hustle and bustle of the city. Whatever your reasons, your realtor can discuss these things with you and build a home search that suits you perfectly. 3.) Contact your realtor asap. They can work with you as you begin the process even if you are a few weeks or even months away from buying. Your realtor will stay in touch, guide you through the process, and be available to show you homes as soon as you have reached that stage. They will also research to ensure that your time isn’t wasted looking at homes that do not fit your needs. With spring being such a popular time to sell, the number of homes on the market will increase. When the weather is nice, homes are more accessible to inspect, and it can be easier to spot and potential problems. If you are a family with young children, it can be a smoother transition to move the kids over the summertime versus the middle of the school year. Always remember to set a realistic budget. Your lender can work with you on establishing these plans. Get your mortgage loan pre-approved. Determine your needs and your wants and be prepared to make compromises. Contact Your Hometown Real Estate Team at Real Estate Exchange to get started. We are always available to answer your questions and get you started on this exciting adventure! Owning a home has always been part of the American Dream. For many it still is! 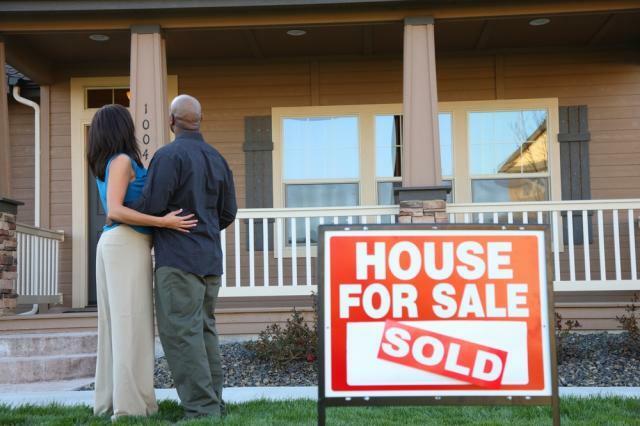 There are many benefits for owning a home -some are financial and some are emotional. It represents stability, shelter, wealth and pride. When you buy your first home, it feels awesome to be able to say you are a homeowner! -Appreciation – your home has been going up in value, it doesn’t always happen but in the long term, you will gain equity in your home. -Forced savings – with each payment you make, you are lowering the amount you owe and gaining equity in your home. If you rent, you are making your landlord richer by helping make his house payment. -Net worth – for most homeowners, their net worth is higher than someone that rents. -Tax benefits – talk to your CPA about expenses you can write off, you may be able to save money on your tax bill by owning a home. -Civic participation – when you own your home, you tend to take better care of it. You may also be more concerned about your community and neighborhood. -Public assistance – many homeowners use their equity in their homes to pay down debt and avoid using public assistance. -Pride of ownership – your home is yours – you can decorate it how you want, you can plant a garden, you can paint walls, you can make your home yours. When you rent, you need to get permission to paint, etc. The American Dream of home ownership is alive and well – there is something about buying your first home and knowing it’s yours! It’s exciting to know you hold the keys! If you are thinking about buying, let us know – we would love to help you with your dream of home ownership! Signs that it's time to make an offer... now. Wondering if you've found the right home? Here are some signs that it's time to make an offer. 1. It feels good as soon as you enter… as you go through it you find that instead of looking for reasons not to buy, you are looking for affirmation that it continues to feel good and this is the right home. 2. You get the flutters… it’s like the feeling you get when you fall in love, wait a minute this IS falling in love, but with a home! 3. You forgive flaws… every home has flaws, but you find yourself making excuses for the flaws in this home, willing to overlook them because the rest of the home feels so good. 4. 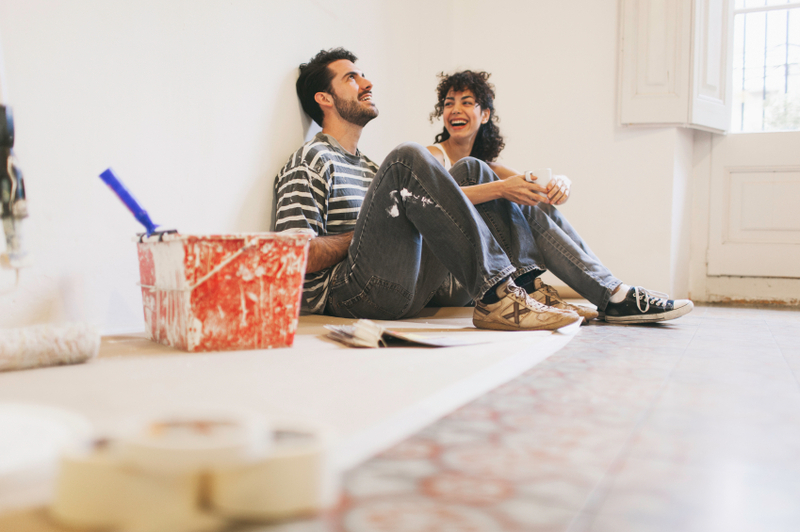 You find yourself mentally moving in, arranging furniture, changing paint colors, making updates… this is an important sign that you feel like you could live here, and you are ready to fix it up to truly make it yours. 5. You remember every detail… after seeing tons of houses most of them blur together, but this one stands out and is emblazoned in your memory. 6. You feel happy… rather than worrying, you relax and breathe a sigh of relief that this feels like home and you would be proud to live here. 7. You can’t imagine someone else moving into ‘your home’. 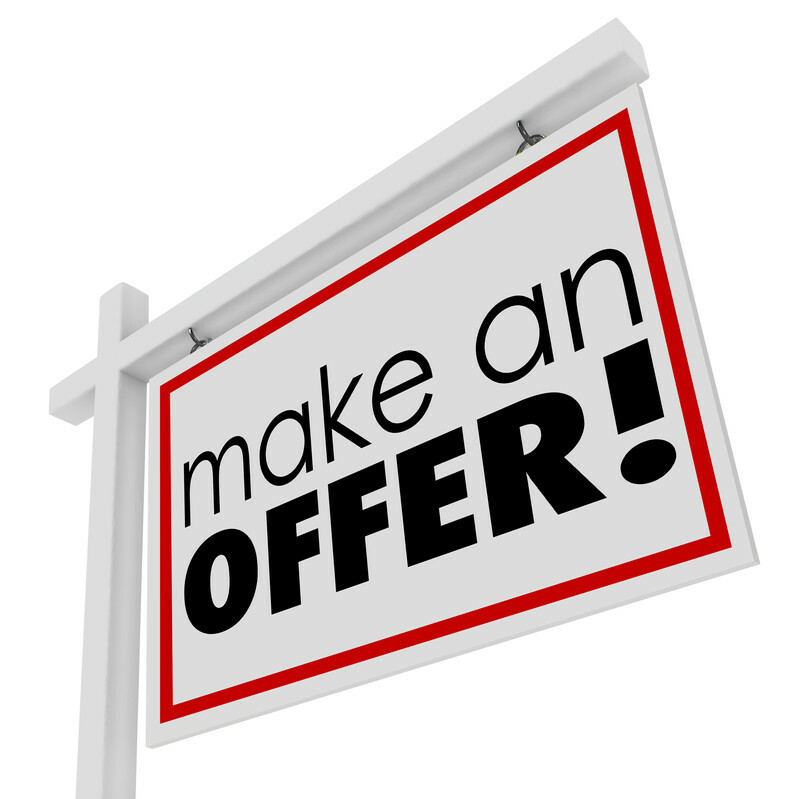 When you get to this point, it’s time to make an offer! What Exactly is a Comparative Market Analysis (CMA) and why do I need one? Known in the real estate business simply by its acronym, a CMA is a powerful tool that rounds up similar properties in your area to help determine your home’s value. Since no two homes are the same, a well-executed CMA is equal parts art and science, comparing raw data, such as your square footage and home address, with the less tangibles, like your home’s proximity to noisy streets. It’s an absolute essential when nailing down an initial asking price, and important for buyers making offers, too. Your realtor will prepare a CMA by examining several properties that are comparable to your own home in location and size to figure out an appropriate asking price. Getting a CMA from your realtor is often one of the first steps you’ll take in listing your property. The importance of pricing your home right the first time can’t be understated. There are obvious downsides to listing a property too low, but too high can be detrimental to the selling process. Buyers will often conduct their own CMAs and will be able to easily spot an incorrectly priced listing. This could result in your home sitting on the market longer than is needed and thus causing even fewer buyers taking an interest as time goes on. What Makes A Good Comparative Market Analysis? The most important step in a CMA is accurately defining your neighborhood. One common mistake is drawing a perfect circle radius around your home, but that’s not always the most accurate approach. If you go across a set of train tracks or even over a few streets, it’s easy to see that often the homes or area is priced very differently. Your realtor can always explain why this may or may not be the case. 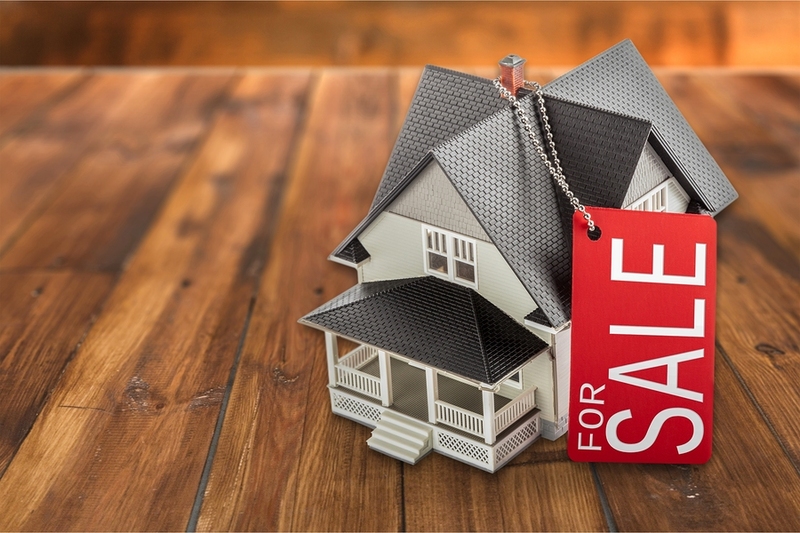 You have prepared your home so it is in good condition, it is well staged and has a good Internet presence… but it still hasn't sold… now what? Price is the most important factor in the sale of your home because it takes everything into account. You can't control the market or where it is located, but you can control the price. Your Realtor will compare your price to recent comparable sales, not just active listings.....active listings haven't sold! Price overcomes objections so consider this when discussing a price reduction. What is often the hardest step in getting ready to sell your home is de-cluttering and getting rid of your excess 'stuff'. Face it… we tend to fill the space we have, sometimes to the point of overflowing. Whether it’s messy clutter… or very neat but just too much… it has to go so potential buyers can focus on how they would use the space. When you list your home for sale you want to wow your potential buyer so they can see themselves living there… so they want to live there! You want enough 'stuff' so they can see how to use the space… but not so much that they focus on your 'stuff' rather than the house. After all, you are selling your house, not your things! 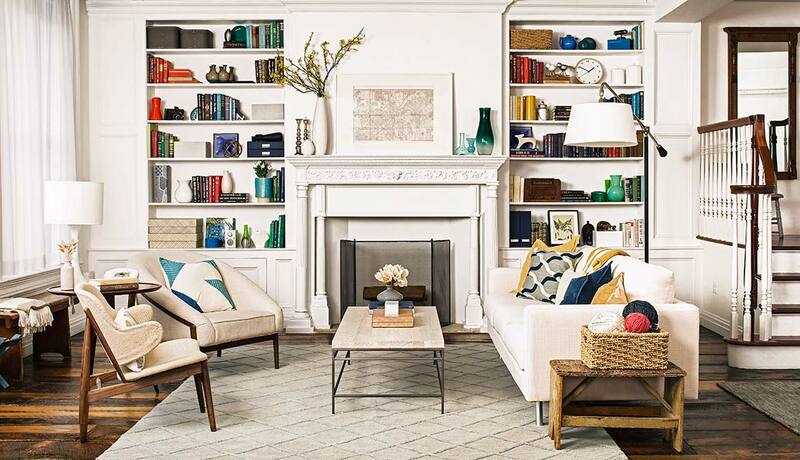 This de-cluttering step can be so hard that it sometimes stops the process before it ever gets started. If you have a lot to do, accept that it's ok to ask for help… from family and friends, or hire an expert to help… just ask your Realtor for a recommendation. Especially if you plan to downsize, de-cluttering can be the longest part of the process of getting your home ready to sell… and may be the most difficult. If you have lived in your home for a long time, your things are likely associated with many memories over the years… a good reason to share some of those treasures with people dear to you. A good place to start can be going through your things and selecting what you want to keep first… then giving things away to family and friends, donating to a worthy cause (for a tax deduction) or having an estate sale for the rest. De-cluttering to get your home ready for staging often takes multiple sweeps… going through it an initial time… then again… then again… You want to get down to the basic structure of your home so potential buyers can experience the space… and visualize moving in their stuff! How soon should you call your Realtor if you are thinking about buying or selling? If you are thinking about making the call (or text or email), it’s probably time… even if you aren’t planning to actually make the move for another six months or even longer. Sellers should call earlier than buyers, sometimes even a year or more before planning to make the actual move. The bottom line is, contact your Real Estate Exchange agent whenever you have a question or need some help… that is what we are here for! Contact your agent before doing any improvements to sell your home… focus on decluttering, cleaning and basic repairs first, then call your agent before doing anything else. Your Realtor knows your market and can advise you on what changes will have a positive impact for your specific home… what is and isn’t recommended may surprise you. Also start going to open houses in your area to get an idea of how your competition is preparing, staging and pricing their homes. If you will be buying after you sell, what is available for you to buy… maybe make a ‘buying’ tour of homes. Does it financially make sense to make the move? Do you have special requirements with limited property choices so it makes more sense to buy first if you can? Stay in touch with your realtor as you make progress on your plan. The two most difficult parts of getting ready to sell are often… declutter, then declutter again, then declutter again!… and CLEAN, CLEAN, CLEAN every nook and cranny including closets, drawers, cupboards, garage, ceilings and light fixtures, and mostly importantly kitchens and bathrooms. Not surprisingly, 93% of buyers start looking for homes on the Internet… a good way to initiate the shift from dream to reality is driving by properties of interest in different neighborhoods to start defining location. Location is so important because that is something you can’t change and it can have a profound impact on how happy you are with your new home. After you initial digging, it’s a good idea to contact your Realtor even if you aren’t ready to buy yet. Have them set up an automated Search for you of different neighborhoods of interest to get a sense of what kinds of properties are available at what price. Start going to open houses to actually get inside the homes. It is a good idea to also contact a lender at this point to help you focus in on price range… and also find out if there are things you can do to assure you get the best interest rate, such as tips to improve your credit score or correct errors on your credit report. Once you are about 4-6 months from your target closing date it is time to meet with your agent, more clearly define what you are looking for and start actively looking… also get your financing pre-approval. Average time to find a home is about 3 months, plus another 1-2 months from purchase agreement to closing.